Standard Steel Specialty is the largest manufacturer of custom and stock gear rack. Whether 1 piece or 1,000 pieces, custom or stock, Standard Steel Specialty is ready to provide all of your gear rack requirements. At Standard Steel, we carry a huge inventory of cold drawn steel in different shapes and grades. For more specialized material requirements, our select network of suppliers provides us with "World Class" quality products, economically priced and delivered on time. Custom racks requiring sizing before cutting teeth, can be accomplished on any of our impressive array of CNC machining centers and grinders. Our milling and grinding machines boast a 20’ uninterrupted capacity. Longer lengths can be attained by making sets. 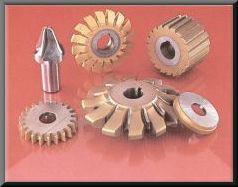 Machining teeth is done with a blend of shaping and milling machines. Our state-of-the-art CNC milling machines can cut teeth uninterrupted up to 157". This capacity coupled with the use of precision cutters produces a high quality gear rack which is competitively priced. Our vast cutter inventory provides immediate access to most diametrical, circular and modular pitches from 72 DP to 1/2 DP. Special tooth form requirements can be provided as well. Once the basic rack has been straightened and manufactured, additional machining requirements can be provided by Standard Steel. Rack ends can be mill matched to facilitate use in continuous runs. Drilling, tapping, slotting or special milling requirements can be precisely done on our large array of CNC machining centers. In addition, thermal treatments and special coatings are available.